I'm running a vanilla survival realm with 7 active players from all over the world. We have an Enderman-Farm for everyone to use, aswell as a 1 player sleeping plugin and a central netherhub where we connect our bases to. We're also having some other helpful datapacks to make some things easier! We are trying to create a community based environment including lots of community builds, services, shops, bases, games etc. 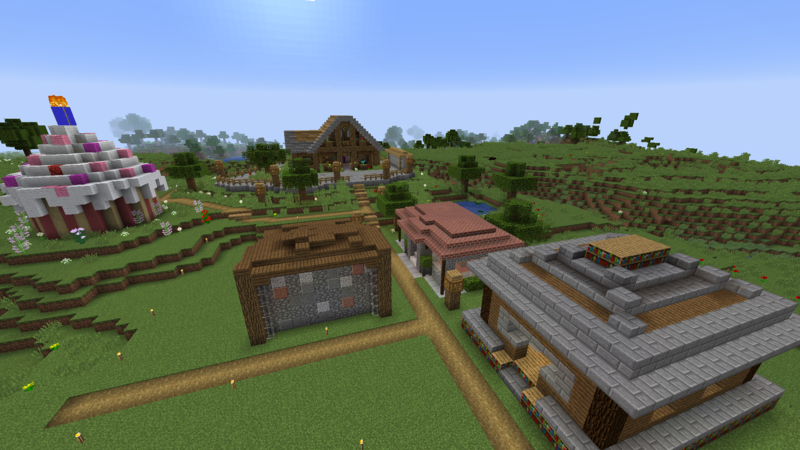 We recently opened the shopping area and a few shops have been built already. You can of course build your own builds pretty much wherever you want. Also if you have any other ideas for builds our community could benefit from, just go ahead and create them! 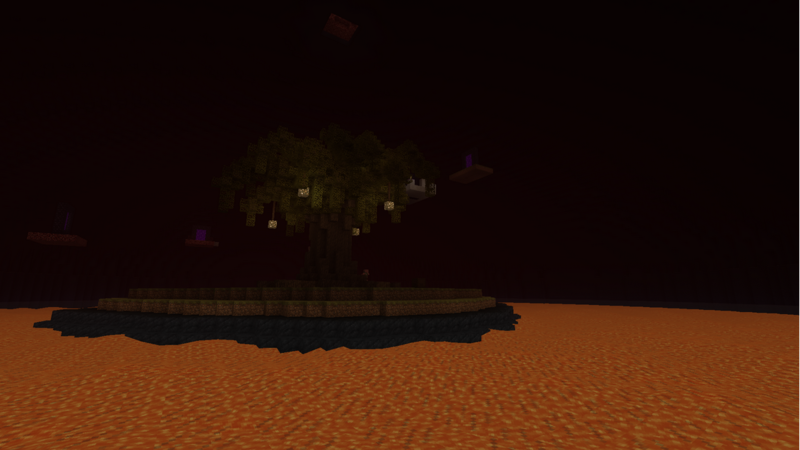 The realm is roughly 3 months old now and there is plenty to be done in the infinite world of Minecraft. If you're looking for a short-lasting survival experience, this might not be the realm for you. We're all trying to have fun by creating our own little world with alot of variety. You will need Discord in order to join the realm (creating an account and downloading Discord is free)! I would like to invite you to the Discord-Server I've made for the realm before you join our realm! =) You will find some general information aswell as some basic rules in it. We also share pictures of our progress, thoughts on improvements of the realm and leave messages to people with different timezones in it. You can also add me on Discord and message me that you applied on here. (I will reply very quick during the day and late evening [timezone CET], meaning you could join the realm shortly after applying. I am trying to have a look into the thread every few hours during the day aswell). I am very much looking forward to your applies and further down the line - meet you on our realm! I prefer to gather what I think will be enough for the project I plan on starting before starting the project. It varies on how I'm feeling. If I plan on playing for a while, I would lay out the basics before getting into details. After finishing the project, I tend to wander off into new areas. -I have band and IB classes. With the schedule my school district put on us this year, it will be difficult to be on after school. Seven classes year long along with band is a handful. With an upcoming concert and the honor bands I plan on trying out for, I will need to practice my instrument. The school will be returning to the regular schedule after this school year. I will have more free time because of this, but I will still need to prioritize. Describe your playstyle as best as you can* - I like building, finding out weird tricks in the game and being creative. Most times when I've been on a realm before I tend to have a pack of dogs. Mostly on creative mode when I'm playing single player, but I like surviving with other people. How long have you been playing the game for? - 9 years? Additional info - I don't play much because I get bored by myself I enjoy playing and building with other people, that is why I'm looking for a good realm so I can make some new friends and play more often!